Silver Crown. 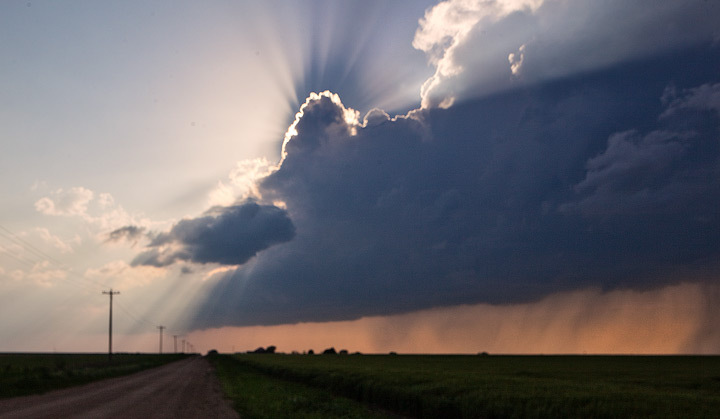 Sun rays light the back of a thunderstorm.
. Photo © copyright by Stan Rose.